This year, China aims to become the world leader in electric car sales by surpassing the U.S.
"China is currently subsidizing the development of e-mobility, making just under €7.7 billion (US$8.4 billion) available in the period to 2016, and is the global frontrunner in e-mobility subsidies by far, according to the Q1 2015 E-Mobility Index published by consultancy Roland Berger. 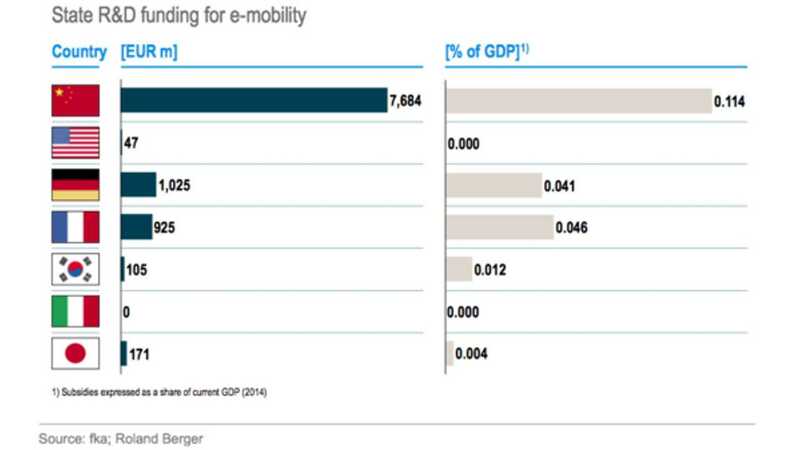 The report also found that while Japan increased its subsidies slightly to €171 million (US$187 million) through 2016, most of the major automotive nations have seen the public subsidization of e-mobility decline dramatically. The US and Italy offer the least subsidization." With major subsidies in place, we suspect China will indeed pass the U.S. this year to become the world's #1 in electric car sales. 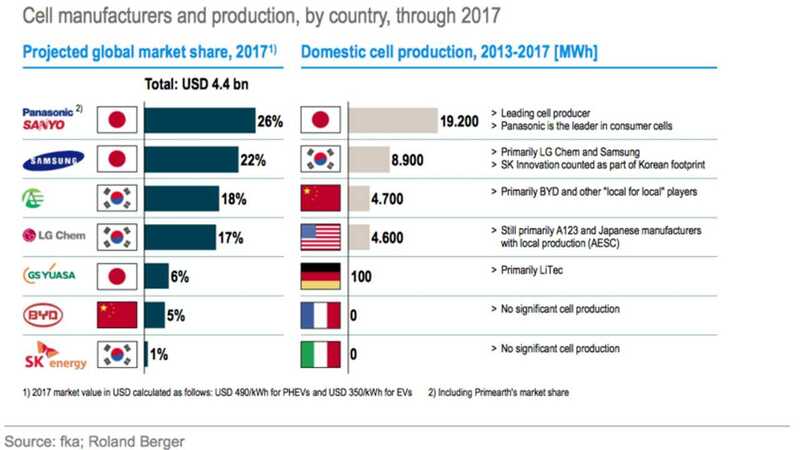 "The index, prepared by Roland Berger and fka experts, compares the relative competitive standings of the top seven automotive nations (Germany, France, Italy, the USA, Japan, China and South Korea) in the electromobility segment. The outcome is based on analysis of three indicators: technology, industry and market." "China. Although China still lags behind other leading automotive nations in terms of the share of xEVs in total vehicle sales, in 2014 it became the second-biggest global market for xEVs in absolute terms. 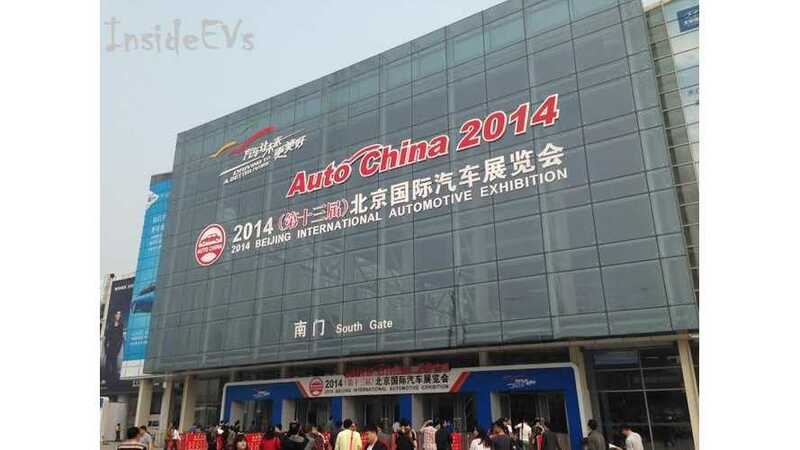 Sales of xEVs doubled in China in Q1 2015 from Q1 2014. China has also widened its network of charging stations and established a cooperation network for public sector companies engaged with e-mobility solutions." In terms of technology, the index states that Japan is in the lead again, with France in second place. Korea is in third and Germany is fourth. As far as industry goes, Japan, the US and China are the top 3 nations, in that order. Meanwhile, in the market category (total annual sales), the U.S. still leads, but China is gaining quickly. You'll find additional information from the index at the source link below.